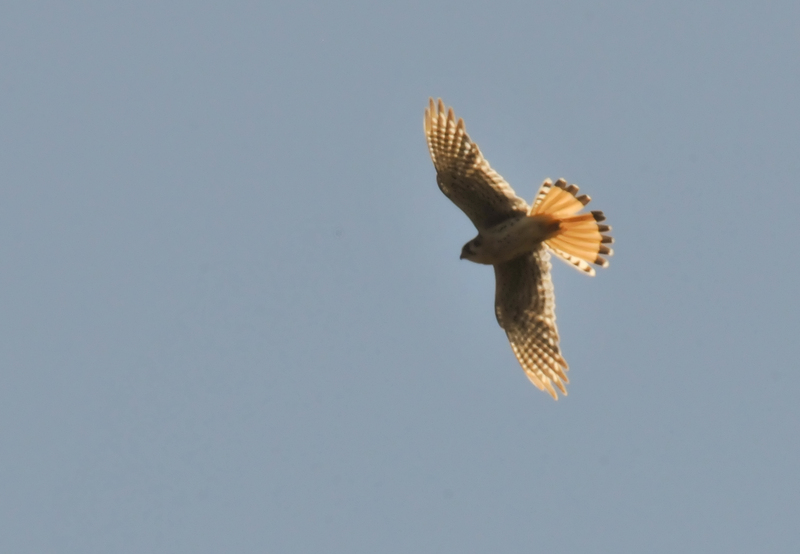 Went on the monthly bird walk at Mount Pisgah and got this shot of an American Kestrel on the wing. There were four of these marvelous small falcons on and above a dead tree in the park just outside of the arboretum. 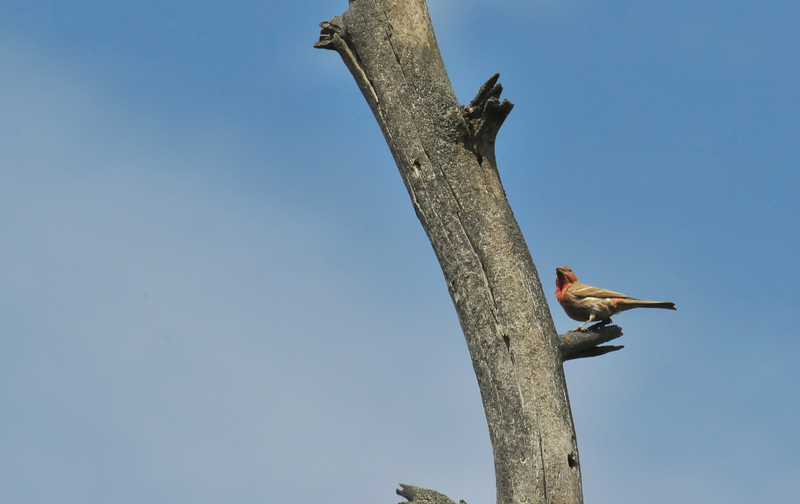 Here is the same House Finch that I posted yesterday . They are a common sight but lovely birds all the same. 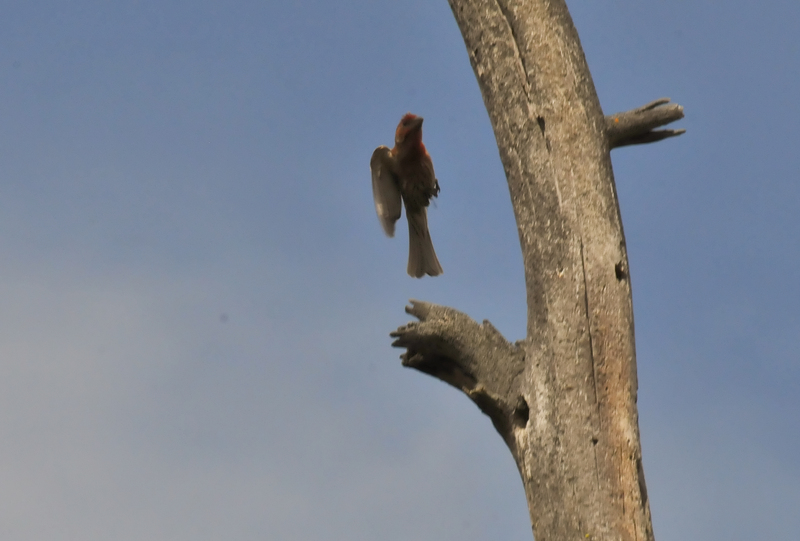 A House Finch photographed mid take-off. 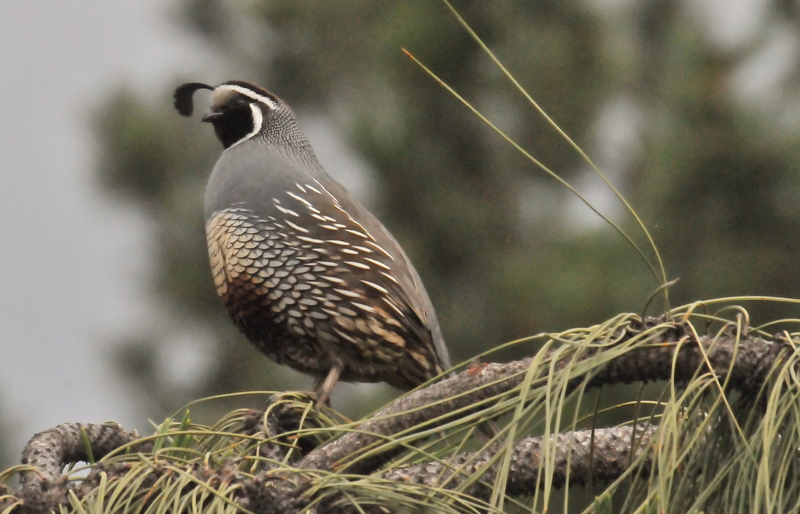 California Quail perched atop a low tree in Spokane, Washington. I love the sound of quail in the morning. 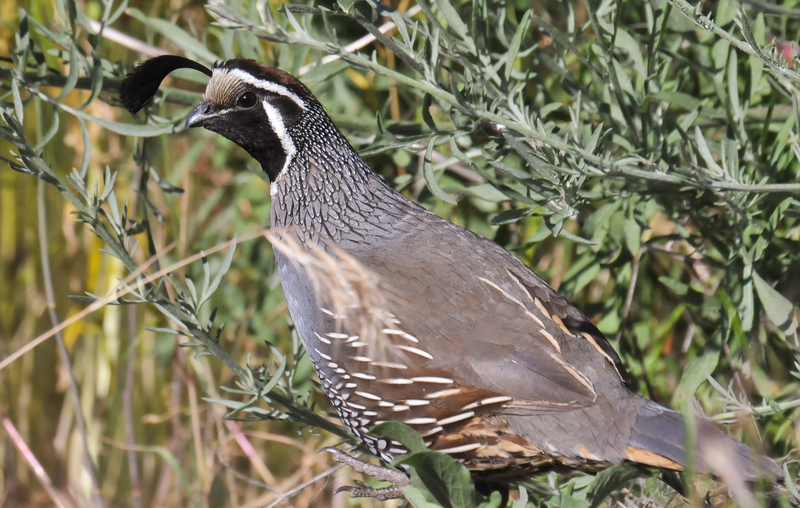 A California Quail posed nicely for me on the Centennial Trail in Spokane, Washington. 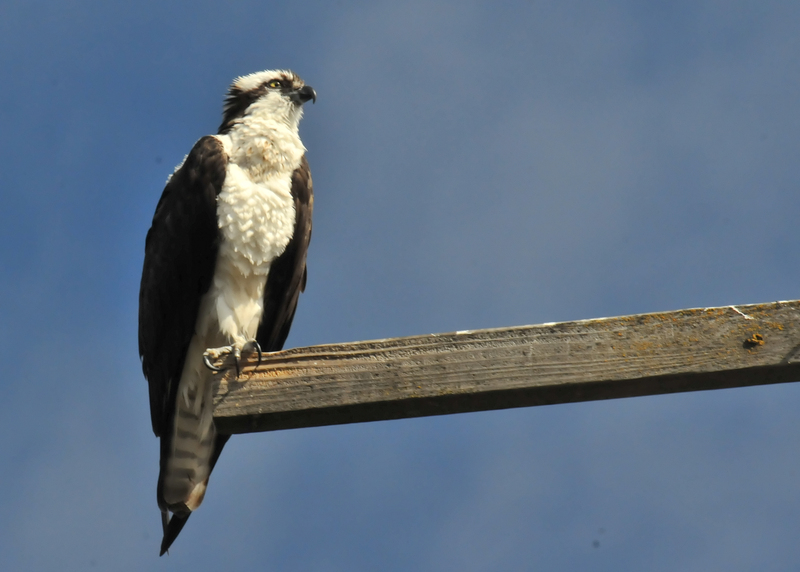 The male Osprey perched a few feet from his nest on a beautiful Spokane morning. 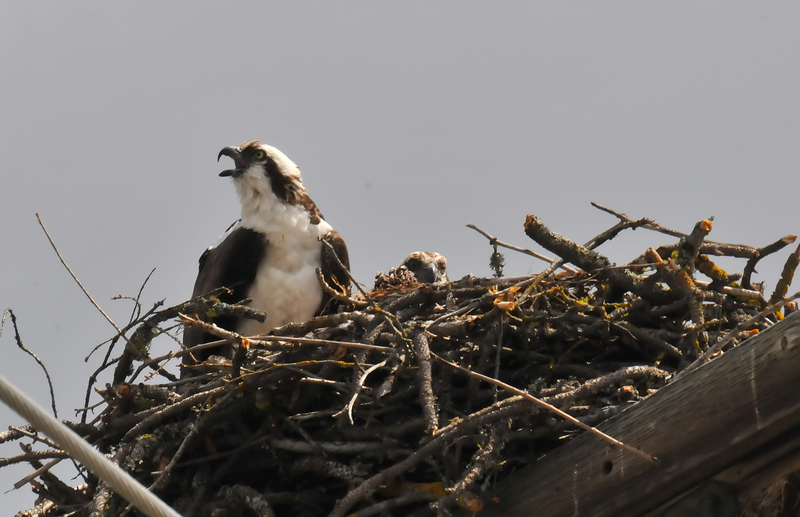 A male osprey greeted his mate who flew near the nest. Next to him in the nest was their fledgeling. 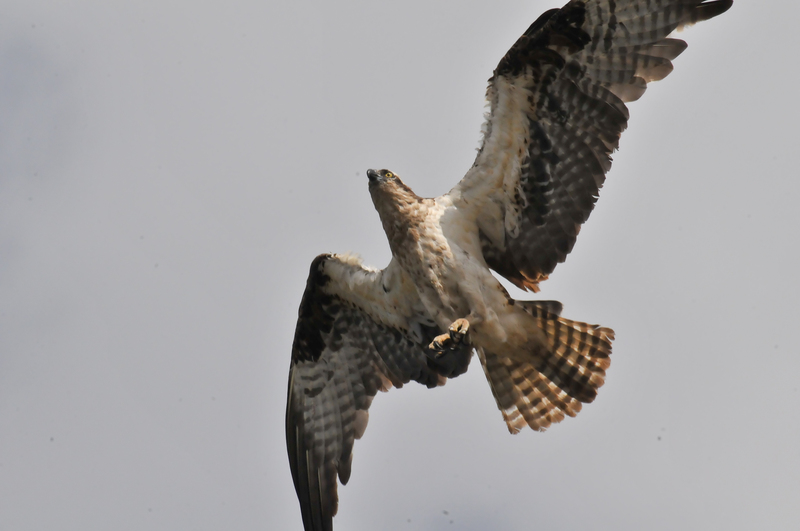 A female osprey about to land at her nest. The male (off camera) was at the nest with at least one chick waiting for her. 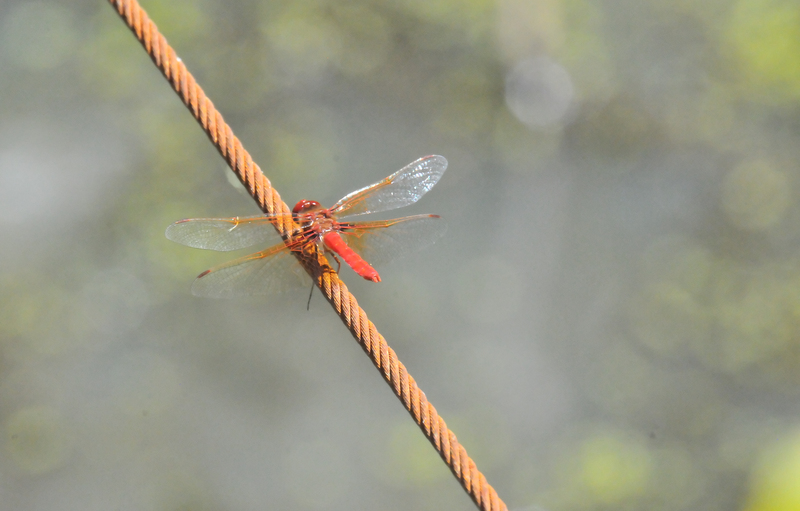 A Flame Skimmer dragonfly perched on a rusty cable before flying off in pursuit of prey. My posting of Wednesday 8 April, 2009 was incorrect. 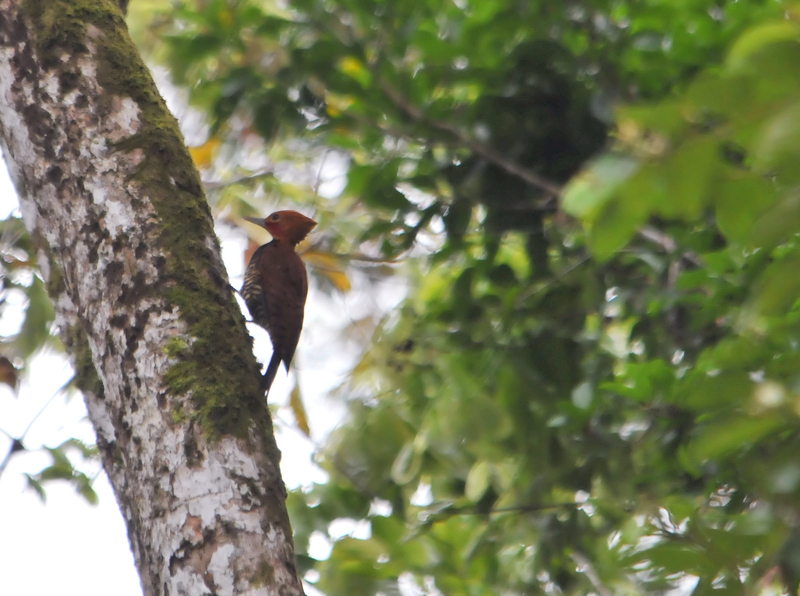 The bird was not a Ringed Woodpecker but a Chestnut-colored Woodpecker. My apologies to anyone who cares. 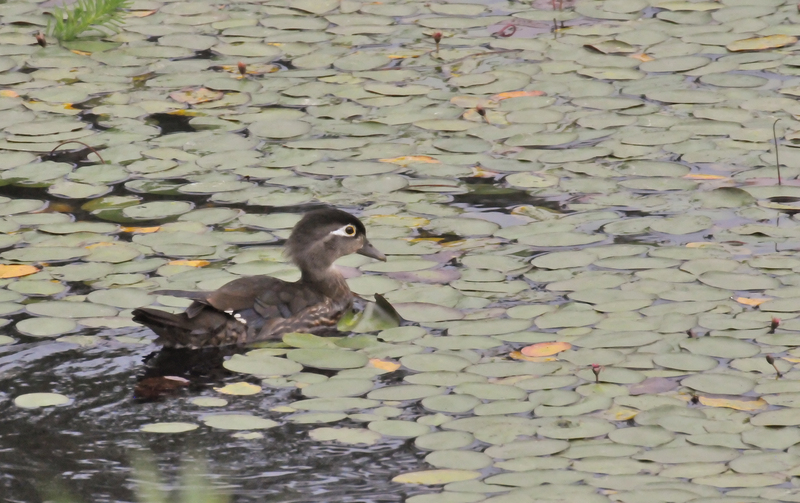 A female Wood Duck swimming amid the lily pads of the Delta Ponds in Eugene, Oregon. 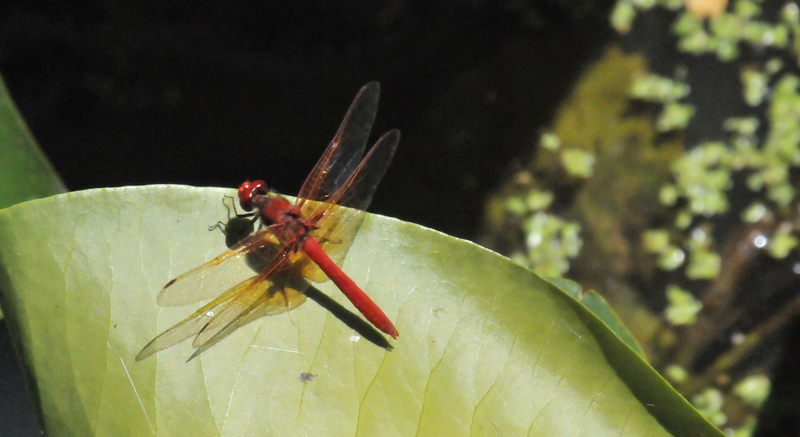 This photo of a Flame Skimmer Dragonfly was taken from the Adkison Bridge in the Mt. Pisgah Arboretum. 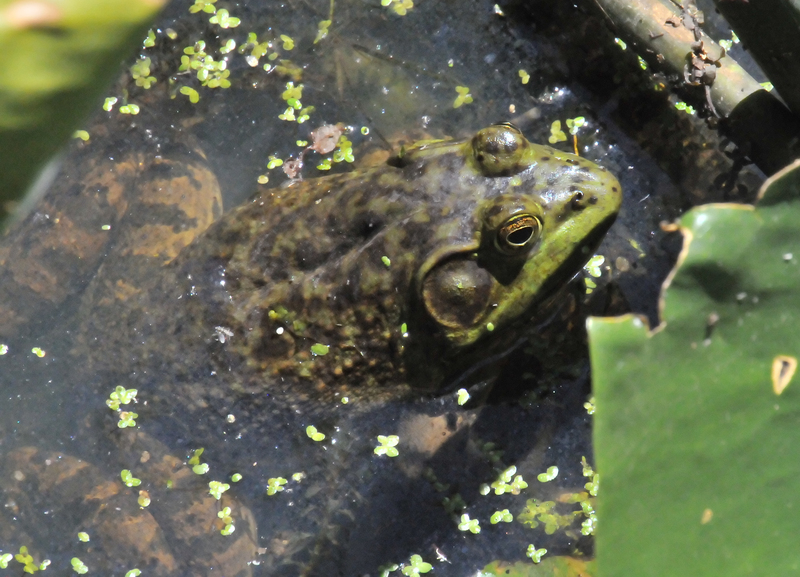 This photo of an American Bullfrog was taken from the Adkison Bridge in the Mt. Pisgah Arboretum. This is an invasive species that's here to stay.